Go Hydrology! : "Canal that wouldn't drain"
This calendar chart shows the relationship between water in the canal and in the adjacent marsh in the vicinity of where Okalocoochee Slough crosses under State Road 29. Blue dots indicate times when the canal is at or slightly above the same height of the marsh. 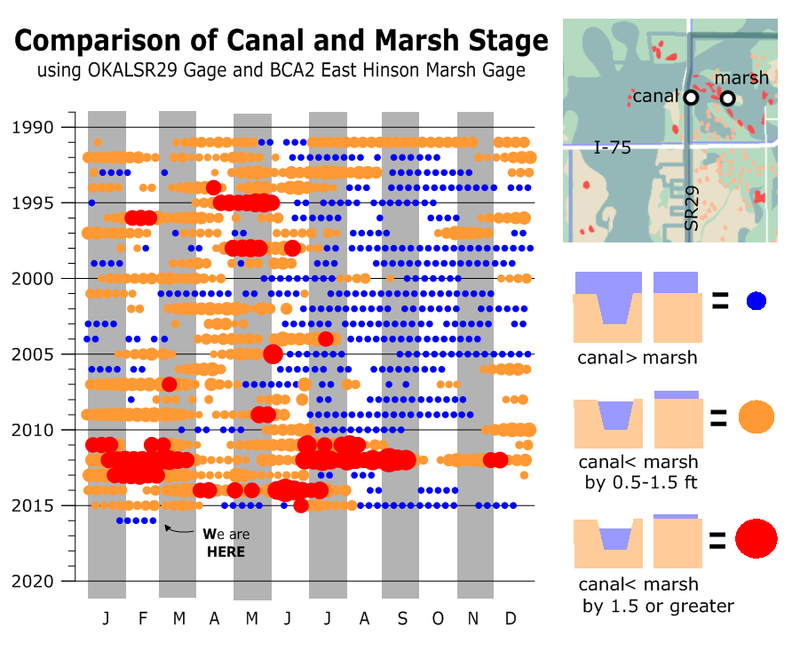 Orange and red dots indicate times when the canal is lower (as indicated) than the marsh. Can you see the trend over the past five years has been a drying effect? Take for example SR29 Canal. Recent rains filled up up over its brim. You'd think that was a good thing? Despite high water, this bridge won't flow (or flow enough). 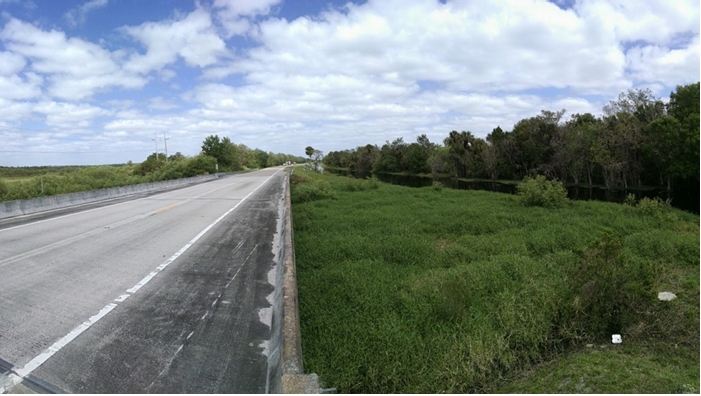 SR29 Canal to the right and Panther Refuge to the left, looking north. Once again this proves that water has a mind of its own. And as for who's in control, my second opinion is it's a combination of both.